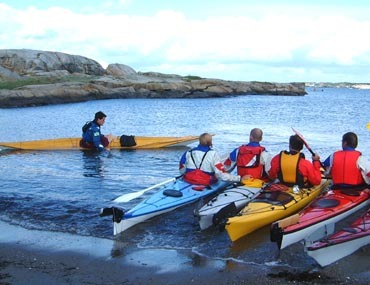 At a paddling course you learn basic paddle techniques for sea kayaks, with a focus on safety and rescue operations. You can use your own kayak or rent equipment from us. The course is not particularly focused on traditional sea kayaks but, rather, aimed at all kayak paddlers â€“ regardless of their type of kayak or equipment. We will cover effective paddling techniques, braces and steering strokes, as well as several types of rescue and recovery operations for self rescue and for rescuing others. Eskimo rolls will be demonstrated but not taught in this course. The course contains theoretical material on how to personalize and improve one's equipment for maximal safety. 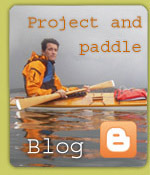 The course is aimed at both beginners and veteran paddlers. This 18 hour course is arranged as a weekend course or as a set of evening classes. Price: kr 2 800 per person, including loan of drysuit and a comprehensive course compendium.